What’s the Worst That Could Happen Without Gutters? Find Out! While rain gutters can help beautify the appearance of your home, they are also essential when it comes to the protection of your home. Think you can do without gutters? These three reasons why proper drainage is critical may change your mind. 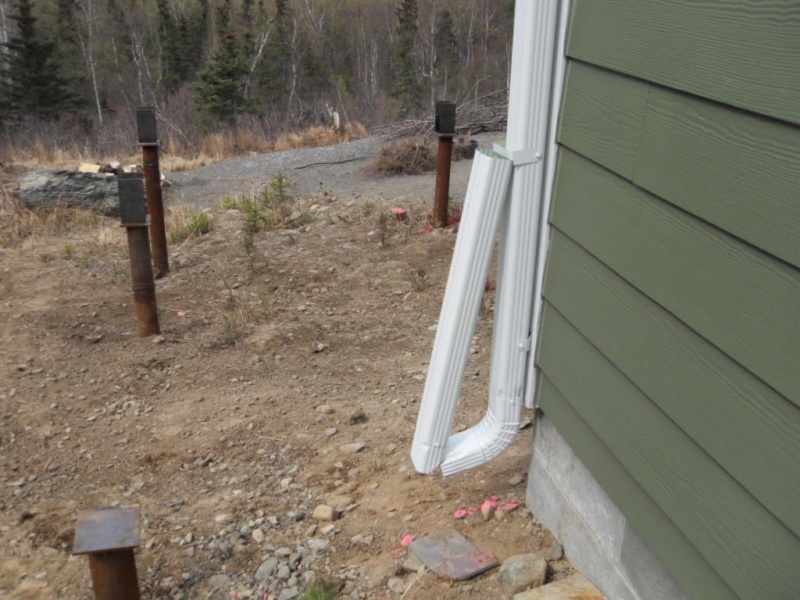 Properly installed gutters will channel rainwater away from the foundation of your home. By doing this, your basement or crawl space will continue to remain dry. A wet or leaky basement or crawl space can bring mildew or mold growth inside your home, which can be hazardous to your family’s health. Gutters help to keep your foundation walls protected, as well, by keeping water from eating away at your foundation or basement walls. When rainwater strikes your roof, it will typically take the path of least resistance – often straight down alongside your foundation. Because gutters limit how and where water flows, it can direct rainwater away from your home altogether, helping eliminate risks from runoff. Plus, gutters provide a route to direct water to a more convenient position, so you don’t have to have water dripping down directly in front of the doorway or garage. Because gutters actually extend the overhang of your roof by up to half a foot, they can further help to protect the landscaping around your home. Many people like to plant flowers and shrubs around the home, but these plants can easily be flooded by too much water. In addition, excess water can bring insects to your plants. Gutters can direct excess rain away from your landscaping, helping to ensure it stays healthy and vibrant throughout the growing season. When it comes to choosing the right gutters for your home, it is important to hire a professional to help you decide what will protect your house the most. With a professional gutter company like Alaska Premier Gutters working for you, you won’t have to worry if your gutters are installed properly. There are many sizes and materials from which gutters are made, and we can work with you to advise you on the most beneficial gutter option for your home. Installing gutters is truly an important investment for your property. In addition to giving you peace of mind regarding protecting your home’s foundation and landscaping, having gutters installed can even add value to your property. Learn more or request a quote today by calling us at 907-272-2337.